This Cimarron model is an entertainers delight!Over looking the 5th fairway. The grande double island kitchen features granite counter tops and back splash. Enjoy breakfast coffee out on the center courtyard right off the kitchen. Great room with entertainment niche and fireplace. Master suite w his/her walk-in closets, shower, tub and double sinks & adjoining bonus rm off the suite. 2 1/2 stall garage! 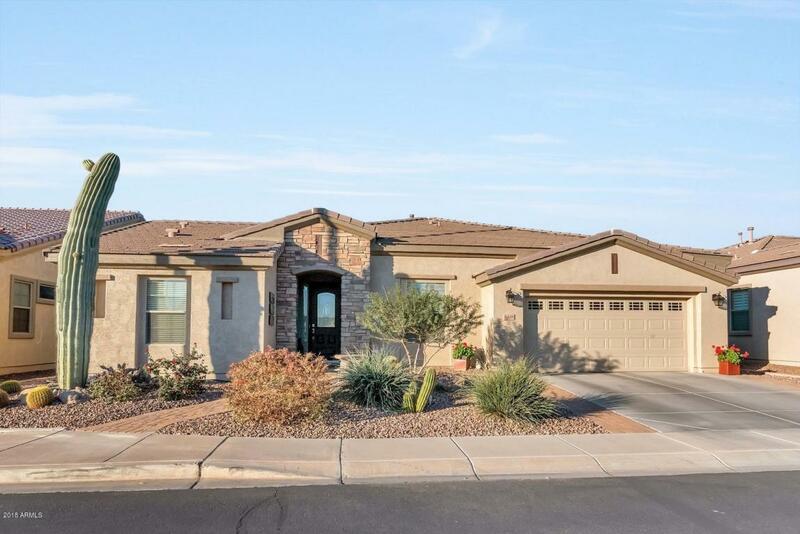 Enjoy the Trilogy Lifestyle in this gated 55+ community complete with Championship Golf Course, Clubhouse & more. Come see your new home today!